LONDON, Oct 12 2016 (IPS) - A recent study supported by the government of Finland has found widespread misconceptions regarding what drives people to join Islamist militant groups like Boko Haram. Boko Haram is Nigeria’s militant Islamist group, wreaking havoc across the nation through a series of abductions, bombings, and assassinations. The group opposes anything associated with Western society, including any social or political activity. Its military campaign’s sole focus is to wipe out any “non-believers” from the Nigerian state. Boko Haram’s official name is Jama’atu Ahlis Sunna Lidda’awati wal-Jihad, which in Arabic means “People Committed to the Propagation of the Prophet’s Teachings and Jihad”. 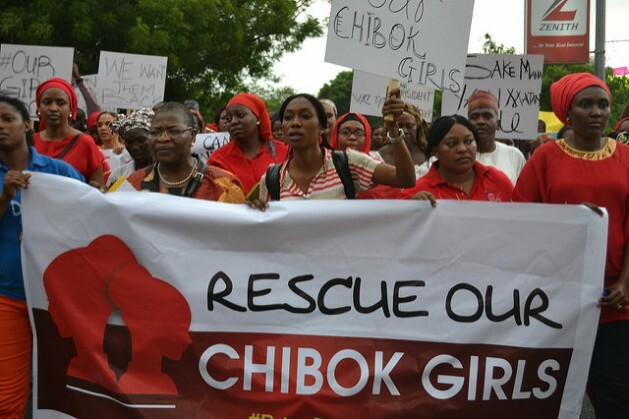 The group’s unlawful actions became a topic of international concern in April 2014 when 276 schoolgirls were abducted by the extremists in Chibok, Nigeria. News of the girls’ abduction went viral and the “bring back our girls” social media campaign spread rapidly across the world. Today, 219 of the girls are still missing. Whilst the majority of mainstream media outlets continue to associate the growth of radicalised groups like Boko Haram with the “perils” of Islam and religious extremism, the study set out to understand what drives people to extremism on a deeper level. According to Mahdi Abdile, Director of Research at Finn Church Aid (FCA) and at the Network for Religious and Traditional Peacemakers, before the 9/11 terror attacks, religious motives could be drawn back to engagement in extremist practices, as widespread recruitment for militant groups like Boko Haram frequently took place in mosques and madrasas. Today, that has changed. “There’s a widespread tendency to oversimplify what drives Nigerians to join a group that advocates such extreme violence like Boko Haram,” said Anneli Botha, an independent consultant on radicalisation, deradicalisation, reintegration and terrorism in Africa and co-author of the study. For many, it may come as a shock that the primary factor for joining Boko Haram has little to do with following true “Islamic practices”. The study shows that 60 percent of Boko Haram fighters are recruited by their own family or friends. In spite of 43 percent of former fighters indicating that religion had a strong influence on their decision to join Boko Haram, many stated that Boko Haram was not following the principles of Islam. Those who joined for religious reasons were described as “vulnerable” and “unfamiliar with the true teachings of the Qu’ran”. The study also indicated that the most prominent pull factor in the Boko Haram recruitment process came out of deep fear and a thirst for revenge. “Fear of military action drives many people into the hands of Boko Haram,” Botha told IPS. Some interviewees explained that “a need for respect” influenced them to join Boko Haram. In many ways, questioning the media and public opinion’s tendency to place the blame on Islam for every act of extremism presents itself as one of the greatest challenges to be overcome in the study. The research compiled also indicated a prominent female presence in the organisation. Most surprisingly, the study uncovered the increasingly active role women play in the operations of the militant group. “The women interviewed made up of former Boko Haram fighters provided far more than basic services. They described being involved in collecting intelligence and the training process. Some women even considered themselves to be explosive experts,” Botha said. She considered the study to be an “amazing sample” of the significant role women play in what most consider to be a male-dominated militant organisation. The women interviewed consisted of ex-Boko Haram fighters. The women described the hardship and difficulty the reintegration process had inflicted on them. Although many were kidnapped or forced into the group out of fear, now, they are seen as nothing more than “horrific reminders” of Boko Haram atrocities. The women’s children, many born out of Boko Haram and now left fatherless, are also considered to be a “violent manifestation” of the extremist group. For the most part, the former Boko Haram women and children are neither accepted nor welcomed back into the community. Oftentimes, for the women who escape, the gates to freedom remain tightly sealed and the struggle continues. Many former Boko Haram fighters experience Stockholm syndrome which is left untreated and worsened by the stigmatization they are subjected to by their community upon their return home. Children born out of the Boko Haram process are equally victimized by the community. “There’s a widespread failure to recognize these women and children as victims, whether you’re a first or second-hand victim it has the same effect,” Botha said. She said the next step must come from the implementation of an efficient reintegration process for both the former fighters and children born out of Boko Haram. The recognition of their strife and discouragement of the demonization of their past actions will help them feel welcomed and accepted in a strong community again.